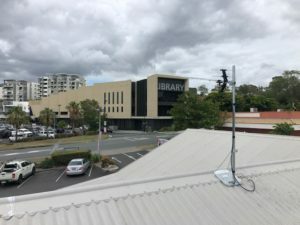 With numerous older homes combined with plenty of new high rise builds, issues with television reception in Southport is on the rise. But by getting the best antenna type for your Southport home, you can ensure the best possible television reception for your home. Maintenance – you need to ensure your TV antenna isn’t rusty, broken or missing parts. Need Help With Antenna Reception? If you are having issues with your TV antenna, and you think it may be caused by one of the above problems, give Home Style Antennas a call. We can get onto the roof and check out if there are any structural issues with your antenna, as well as ensuring you have your TV tuned in properly and your cables are in good shape. Will you need a masthead or signal booster to get better reception? The team at Home Style Antennas will be able to discuss your requirements for the best antenna type for a Southport home. We offer free quotes, as well as a 10% quote beat guarantee. Some homes may need a signal booster, but we wouldn’t recommend just going and buying one hoping it will work. Masthead amplifiers work in areas of poor coverage – that is, areas where the signal is interrupted by trees, buildings or mountains. Distribution amplifiers, on the other hand, are best for homes with multiple televisions sets that are sharing the one antenna. If we find that your signal is being interrupted by high-rise buildings, we can check whether you simply need to have your antenna re-aligned to point to the transmitter at Mount Tamborine, or whether we need to install a masthead amplifier.